Senator Kirsten Gillibrand of New York has hired a communications director for an expected presidential campaign, a sign that she is all but certain to join the race against President Trump and that her entry may be imminent. Ms. Gillibrand has recruited Meredith Kelly, formerly the top spokeswoman at the Democratic Congressional Campaign Committee, as a senior aide to her prospective 2020 campaign, two people familiar with the decision said. Ms. Kelly was part of the team at the House committee that helped the party capture the majority in 2018, overseeing the group’s media strategy during the midterm elections. The hire is part of a flurry of activity by Ms. Gillibrand in recent weeks as the 2020 campaign gets underway. Politico reported on Thursday night that she is preparing a trip to Iowa later this month and has been in touch with potential campaign staff members there. Glen Caplin, a spokesman for Ms. Gillibrand, declined to comment. 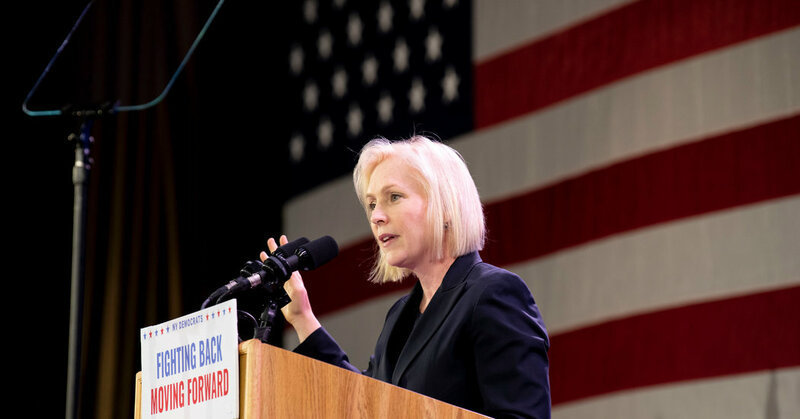 Taking the step of actually retaining new staff — rather than merely conducting interviews or planning out staff recruitment — indicates that Ms. Gillibrand is probably in the very last stages of preparing for the 2020 race. Once politicians raise or spend more than $5,000 on their candidacy, they have just 15 days to file paperwork forming a campaign with the Federal Election Commission. Depending on when she announces her decision, Ms. Gillibrand, 52, could become the second high-profile Democrat to join the race, after Senator Elizabeth Warren of Massachusetts. Ms. Gillibrand has signaled that she will run as a progressive and has been an especially forceful advocate within the party on matters of gender equality. At least two other senators, Kamala Harris of California and Cory Booker of New Jersey, are expected to announce in the coming weeks, joining a field that could grow to dozens. Joseph R. Biden Jr., the former vice president, has also told associates he intends to make a decision this month and has been leaning toward running. While she has a high profile in the news media, Ms. Gillibrand is not well known among Democratic voters nationally. In a Quinnipiac University poll last month, 64 percent of Democrats said they did not yet know enough about her to form an opinion. As a senator, Ms. Gillibrand has relied on a tightly knit team of advisers who have counseled her for years, helping her navigate her appointment to the Senate in 2009, a special election to defend the seat in 2010 and a regularly scheduled Senate election in 2012. But she has been moving aggressively to expand her staff and compete with other Democratic contenders for prized talent in the party. Ms. Kelly’s hire arose from that process. Before joining the Democratic Congressional Campaign Committee, Ms. Kelly, 30, worked as a spokeswoman for Senator Chuck Schumer of New York, the current Senate minority leader.